Nurturing The Richness of The Soul. The wealth that is accumulated and tons of money that are saved up in an iron safe or in the bank are not real indicators in recognizing a person as being wealthy, though the society may deem such individual as a millionaire. Throughout the day, he is swamped with the affairs of managing the wealth, while in the night he is unable to sleep, perturbed with the profit and loss made. The real rich person knows that it does not take a huge amount of wealth to fulfill the needs of the family. Even then, there are times in which his drinking and eating diet are restricted due to an illness that has lingered in the body. On the opposite end, there are individuals who are restless pondering upon ways in seeking a livelihood, even if it is just a morsel of food, just to support the family, providing clothes for the growing children. The poor ones will continue feeling stressed living a life that is full of hardship that seems to keep getting worse. A lot of wealthy people are devoid of tranquility in their hearts, so what more with the needy. Hence, what is it that truly distinguishes between the rich and the poor if both are plagued with grief and restlessness? Therefore, richness from the Islamic perspectives is not measured by the quantity of wealth possessed but instead, it is within the heart (soul). If the soul of the slave is liberated and rich, then he will have serenity in the heart and manifest his happiness. However, if one is drowning in anxiety, then the abundant wealth amassed that surrounds him will only cause more grief in his own life. “Richness is not the abundance of wealth, rather it is self-sufficiency.” [Narrated by al-Bukhari and Muslim]. “Beware! In the body there is a piece of flesh if it becomes sound and healthy, the whole body becomes sound and healthy but if it gets spoilt, the whole body gets spoilt and that is the heart.” [Narrated by al-Bukhari and Muslim]. Every human being in this world would have different viewpoints in evaluating life essentials driving their lives. History has portrayed characters that had made wealth, status, and fame as the objectives of their lives such as Qaroon, Fir’awn (Pharaoh), and Haman who were all disgraced into the valley of humiliation. However, history has also portrayed glorious images of wealthy individuals possessing the hearts of slaves such as ‘Uthman ibn ‘Affan and ‘Abdur Rahman bin ‘Awf. They were both blessed with the same bounties, but what distinguishes them is their basis for life, which is the belief in Allah. In practicing charity, for example, let us not assume that donation and infaq (gifts) can be easily obtained from the pockets of wealthy magnates. But have certainty that those sadaqah (charity) will be easily obtained from the pockets of individuals possessing richness in their soul that is fueled by faith in Allah, regardless whether they are from among the rich or the poor. The poor will become more generous when his soul is rich, where his donation of one Dollar ($1) is not equivalent to the $1 donated by the wealthy ones. This is because, for the wealthy ones, the value of that $1 is meaningless to them. On the contrary, for the less fortunate ones, that $1 holds such a great value due to the toil and amount of hardship endured just to earn it. Hence, the sincerity that grows from having firm Iman in Allah makes him a generous person of higher dignity. Furthermore, a wealthy person must be even more generous for he has been blessed with great wealth. “Beautified for people is the love of that which they desire – of women and sons, heaped-up sums of gold and silver, fine branded horses, and cattle and tilled land. That is the enjoyment of worldly life, but Allah has with Him the best return.” [Al-Quran, Surah Ali-Imran, verse 14]. Qana‘ah or contentment is a trait that must be instilled within the soul of every human being. This noble trait will scrape away madhmumah (disgraceful) traits and instill persistence (itqan) in seeking rizq (provision). In conclusion, wastefulness, and extravagance while shopping can be eradicated from the soul of the rich ones. For those that are being tested with poverty, they are not enticed to partake in unlawful ways of attaining wealth such as stealing, mugging, and plunder. Moreover, it uplifts the spirit and diligence in seeking halal sustenance, as well as being pleased with the decree of The Almighty. Islam deems blessings as not only luxury and things that are affiliated with material thinking, but instead all of the blessings bestowed by Allah to His slaves are those that encompass facilitations for obedience, having good health, happy family, righteous children, honest companions, harmonious neighborhood, and many more. When a person comprehends this very concept, his gratefulness will definitely manifest with increased ‘ibadah as a practice in thanking Allah and always having positive thoughts about Allah and placing reliance upon Him at all times. The rich and the poor who are granted with richness in the soul will definitely compete in performing good deeds due to their gratefulness to Allah for all of the favors bestowed upon them. “And [remember] when your Lord proclaimed, ‘If you are grateful, I will surely increase you [in favor]; but if you deny, indeed, My punishment is severe. '” [Al-Quran, Surah Ibrahim, verse 7]. This verse explains that when mankind is grateful, Allah has promised for them increase in His bounties and blessings. But for those that disbelieve (kufr), which are souls that are devoid of gratefulness, they are promised with a severe torment. Those that have been blessed with wealth, stature, and position, in which their hearts are embedded with seeds of iman and nourished with the taqwa of Allah, definitely it will yield the feeling of gratefulness upon the bounties bestowed. 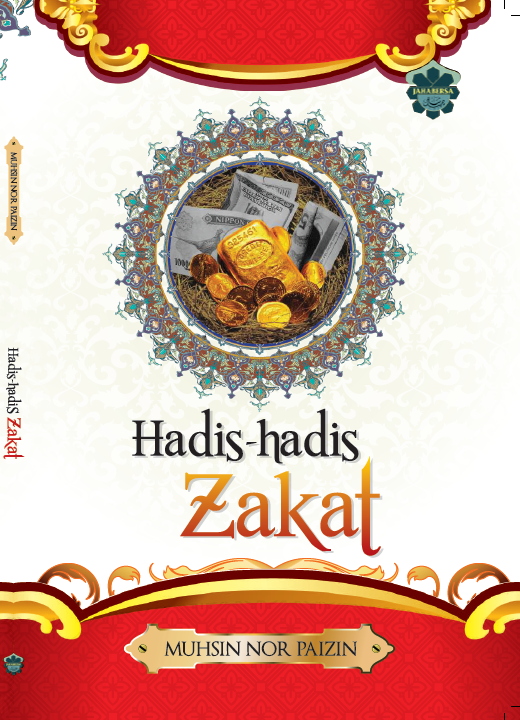 They are truly certain that there are roles and responsibilities that must be pursued with the amanah (trust) rendered such as fulfilling zakat, making waqf, giving sadaqah. It will also serve as a fortress from greed and stinginess that could lead one to do anything just to attain what they desire for through means that are haram, oppressive, deceitful, and others. It is wajib upon the Muslim ummah to strive in nurturing the richness of the soul by always remembering Allah, so as to attain His Pleasure in this world and Hereafter. The Muslim Ummah must free itself from greed and miserliness. The Muslim Ummah must be grateful upon the favors from Allah by increasing righteous deeds such as giving donations, fulfilling zakat, making waqf and strengthen its qana‘ah. “The Day when there will not benefit [anyone] wealth or children. But only one who comes to Allah with a sound heart.” [Al-Quran, Surah ash-Shu’araa’, verse 88-89]. Reality of The Da’wah at The Present Time.